Is There a European Personality Type? The European is interested in the world, he wants to know it, to make this other confronting him his own, to bring to view the genus, law, universal, thought, the inner rationality, in the particular forms of the world. As in the theoretical, so too in the practical sphere, the European mind strives to make manifest the unity between itself and the outer world. It subdues the outer world to its ends with an energy which has ensured for it the mastery of the world. I have become increasingly convinced that there is something unique to the psychology of Europeans — traits which produced the highly rationalistic and empirical way we have conducted practical and intellectual endeavours for centuries. Spengler observed that Europeans can alone be characterised as having an infinite thirst for the as yet unknown — the Faustian spirit. Weber, similarly, described the White man as possessing a higher degree of rationalism, leading to the West's unique systematisation of law, religion and numerous other endeavours. But, can we really identify a general personality type of the Europeans? While he recognized that one's psychological development is heavily influenced by the environment, Jung's extensive research and clinical experience also led him to conclude that the basic features of personality are basically genetically determined, not only for individuals but for whole races and cultures as well. In other words, racial personality 'types' define our inborn predispositions, while culture permits or limits the ways in which those predispositions can be expressed as behaviour. Prof. Moody concluded that Jung was correct — there is "a stronger biological basis to culture than we have heretofore recognized." 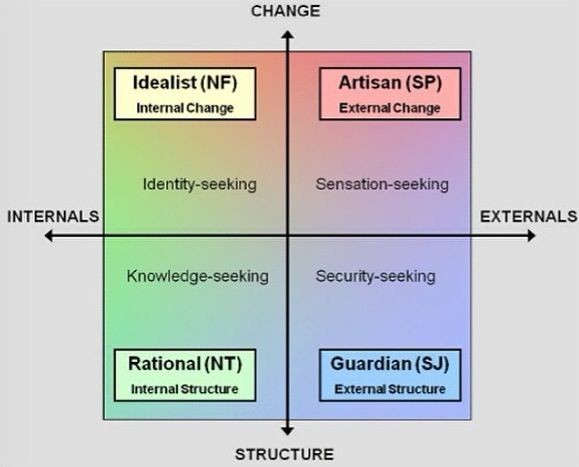 The Myers-Briggs Type Indicator (MBTI) personality test, was developed from Jung's concept of typology and divided personalities into sixteen types. Influenced by Plato, the late Prof. David Keirsey helpfully categorised these into four temperaments; his adapted test is now one of the most widely used by employers worldwide. As Concrete Cooperators, Guardians speak mostly of their duties and responsibilities, of what they can keep an eye on and take good care of, and they're careful to obey the laws, follow the rules, and respect the rights of others. In his study, Prof. Moody examined students at the universities of Florida and Hawaii, concluding that, among Caucasians, "There are significantly fewer STs (p < .001) [Guardians and Artisans] and more NTs (p < .001) [Rationals]." NTs are sometimes described as the "conceptualists" — they possess a constant thirst for knowledge alongside a creative, innovative streak in the abstract and theoretical. Sounds a lot like Spengler's Faustian spirit, doesn't it? More interesting still, Prof. Keirsey originally named the Rational temperament, the Promethean; the mythological Titan, Prometheus, being the inspiration for the Renaissance character of Faust. Since his study, others have also found "Caucasians...have a preference for Intuition," that is, iNtuitive Thinking (NT). So, it appears this personality type is more common among Europeans and would explain why we dominate rationalistic schools of thought. For example, 95% of libertarians are White, and we have historically been more accepting of competing schools of thought, meaning that the past few millennia have seen Europeans overwhelmingly dominate the pursuit of philosophy. Whilst this subject is currently taboo in the West, as it may upset the feelings of some, the data suggest this general personality type has its basis in our genes and would likely have been preserved or selected for by our ancient cultures. Elsewhere, I have written of the origins of this Faustian spirit in the moderate average levels of factor 1 psychopathic traits in European peoples, inherited from our Indo-European ancestors. In short, ancient Europeans welcomed competition in everything even if, or especially if, it presented a risk of death and, thus, the possibility of achieving immortal fame for one's bravery. This attitude was transferred to the field of philosophy, favouring minds which could conceptualise well and were bold enough to speak out against the status quo. These socio-biological factors may in part explain the restless creativity with which the Europeans have rationally systematised all human endeavours. N.B. Prof. Keirsey's Rationals, "ignoring arbitrary rules and conventions if need be." So, what is the significance of this? What do we do with this understanding of our general personality type as "White people?" We Europeans have historically and restlessly sought out ourselves, without even realising what we were doing. During the Renaissance, those typically European minds looked back, beyond any identity we were supposed to have in Judeo-Christianity, to our ancestors; but they also looked forward by envisioning them as the physically and spiritually ideal European man, creating brilliant statues of this untainted archetype — something to pursue in one's self. Their timeless gaze both looks deep into your soul and invites you to do the same, that you might know yourself. But, after centuries of trying to either remember or discover what we are, plunging those depths of our soul and conquering the universe around us for the answer, we find that we are the quest itself. We are both children of the stars and stewards of all; we are the mechanism through which the universe masters itself, the microcosm of which is seen in the rational self-mastery of the European mind. Yet, we find ourselves overwhelmed by aliens and kin alike who resent us and would have us believe lies about our history and destiny, i.e. that the best way we can transcend ourselves, as we are wont to do, is to deliberately see ourselves outbred and sacrificed out of existence. 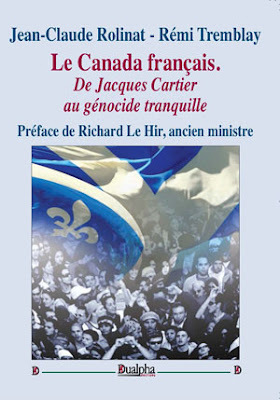 But this destructive ethnomasochism is no victory for our people — surrender is not typical for us. If we would transcend our individual selves, we must recognise that we are a distinct group with unique cultures, upholding unique ideals; looking back, we understand where we came from and learn from our mistakes, and looking forward, we eternally pursue our ideals. And the European personality type is by no means the least of these.